The growing importance of entrepreneurship and innovation activities in world production and employment is one of the characteristics of the last four decades. Entrepreneurship is not only a determinant of growth, but also affects the international competition and the modernization of a country. This chapter analyses the entrepreneurship and innovation activities and the way they contribute essentially to growth and competitiveness. The chapter aims to investigate how entrepreneurship affects not only and innovation capabilities, but also the whole periphery and economy, as well as how technological innovation is essential if companies - and countries - are to maintain their competitiveness in global markets. There are a lot of underlying problems and questions regarding the measurement of entrepreneurship and innovation activities. In particular, this chapter attempts to analyze the whole framework of entrepreneurship and innovation activities and in particular to analyse the effects and implications to growth and competitiveness. Within this context, it also aims to emphasize and review the appropriate techniques, the most common methods, and the particular related problems. Entrepreneurship and the relevant policies have played an important role for socio-economic and regional growth. Indeed, facilitating increasing rates of enterprise creation is an almost universal concern for local authorities who seek to accelerate development or reverse decline in localities, whether disadvantaged or prosperous. New enterprises can procure a range of benefits that contribute to local development, including: rises in employment and incomes; enhanced provision of services for consumers and businesses; and possibly, demonstration and motivational effects. Foreign direct investment contributed substantially to the transfer of new technologies and consequently to the modernisation and reorientation of the structure of the economies. The main bulk of technology transfer took place either through foreign direct investments (FDIs) (mainly through multinationals MNEs) or through technological agreements (for instance, licensing and joint ventures). 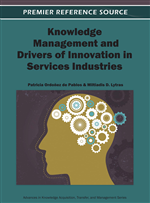 Innovation is now recognized as a major source of competitiveness of firms and innovation systems. It is recognized as highly relevant to economic performance and sustainability and thus has been gaining more support and attention. This does not mean that innovation policy is immune from pressures for regulatory reform, shared with other policy areas. Innovation policy also needs to draw on evidence, be evaluated to be based on the best available knowledge and to become a learning process. Archibugi and Michie (1997) concur: “To understand technological change it is crucial to identify the economic, social, political and geographical context in which innovation is generated and disseminated. This space may be local, national or global. Or, more likely, it will involve a complex and evolving integration at different levels of local, national and global forces”. Hommen and Doloreux (2004) conclude: “To develop a more comprehensive approach to understanding RIS, it will be necessary to consider failures as well as successes, non-localized as well as localized learning, and different modes of integration, both locally and globally. One possible line of inquiry might centre on the precise nature and the relative importance of localized and non-localized learning, relating these to the forms of knowledge accumulation that sustain the globalization of firms and the competitiveness of regions. On this basis, it would be possible to develop a more discriminating account of the conditions that enable some regions to adapt and generate certain forms of knowledge, more successfully than others”. Furthermore, innovation is a phenomenon that is relevant to a wide range of policies. For example, policies areas -such as education, environment, and Intellectual Property- have implications for innovation. Still policies whose fundamental concern is not innovation, have effects on innovation processes. These interrelations are often poorly understood, and this may have resulted in policy designs that are sub-optimal. Interactions between regulatory reform in all policy areas, the changing nature of innovation processes and the changing content of innovation policies need to be continually explored. Government policies in new technologies and innovations aims exactly to this point: to reinforce technological capabilities in order to enhance productivity, competitiveness and economic growth of their countries. Government support is usually taken under the form of “direct” and “indirect” measures that is, different grant, loans, tax concessions, and equity capital. This Chapter attempts to examine the structure and role of technological policy, the national and the regional systems of innovations and their implications on sustainable development and social change. This Chapter also deals with the entrepreneurship activities, the Foreign Direct Investments (FDIs), the transfer of technology and innovation activities. Entrepreneurship is a complex subject of study and its characteristics, dynamics, determinants and manifestations differ across countries. The overall level of economic development is an important contextual distinction for the research on entrepreneurship, as it can take very different forms. Entrepreneurship in a Schumpeterian view is defined as an attitude of helping innovative ideas become reality by establishing new business models and at the same time replacing conventional business systems by making them obsolete (“creative destruction”, Schumpeter).